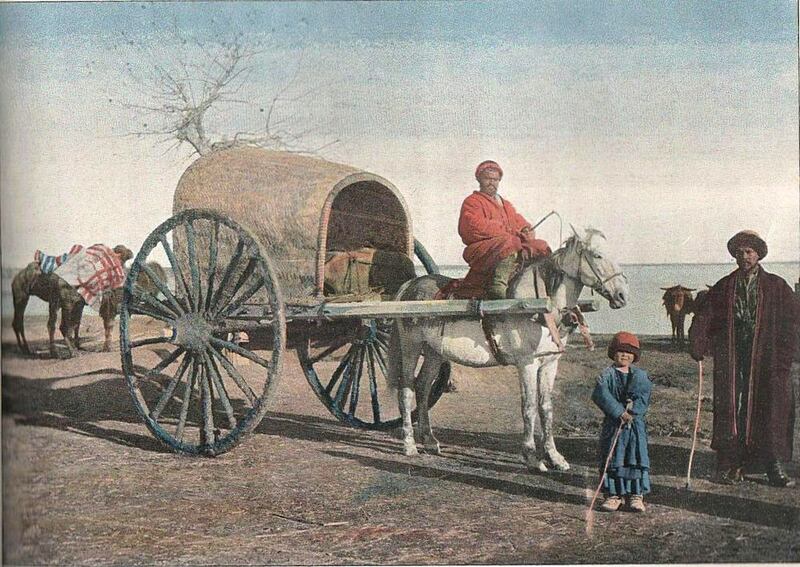 Bullock-cart or Arba was the main of transport in Central Asia and, in particular, in Uzbekistan for a long time. Selected types of carts pictured as petroglyphs confirm their invention in great antiquity. Arba - the first and the easiest form of transport and its development is linked to the development of cattle breeding, farming and crafts. Bullock-carts was used for transportation of goods, people, and even for combat purposes. There are more than 140 rock paintings of chariots and carts on the territory of Central Asia. All of them were studied in detail. Found images show that mostly horses were harnessed those days. Much less used camels and bulls. Later locals began to harness donkeys for bullock-cart. 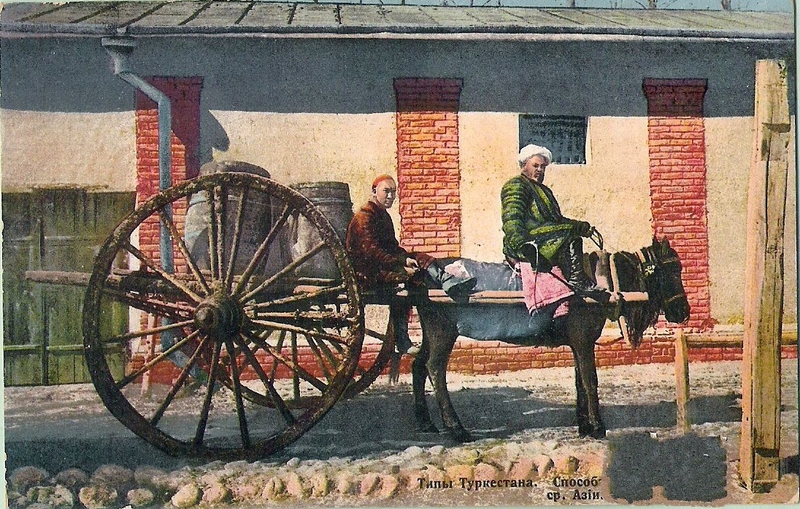 In Central Asia, in contrast to other countries, it has been distributed exclusively two-wheeled carts. The main feature of the cart of the northern part of Uzbekistan, Karakalpakstan and Turkmenistan was a very large diameter wheels. In Uzbekistan, they were known as "Kokand Arabia». This construction has several explanations. First, large wheels allow travel faster especially on bad roads. Thanks to its construction arba didn’t roll over if there were large stones. Due to the fact that the riders sat high did not have time to get the dust. And this moment was very practical for Central Asia. 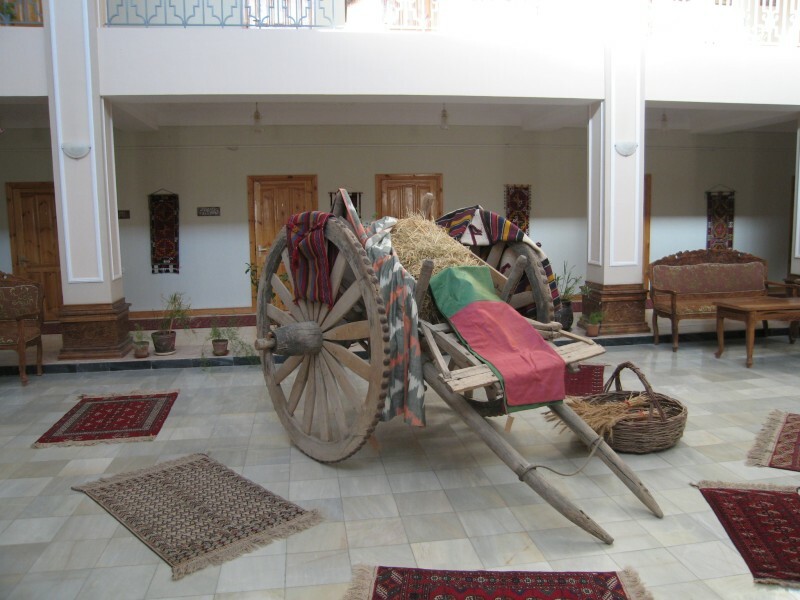 Arba was used as a form of transport for a long time, because it was a very practical. And today, such carts can be seen in rural areas, but it’s more and more difficult. Most interesting is that the wagon structure has not changed if compare to petroglyphs. You can see medieval arba only in museums. Please do not miss this opportunity during your trip to Uzbekistan.